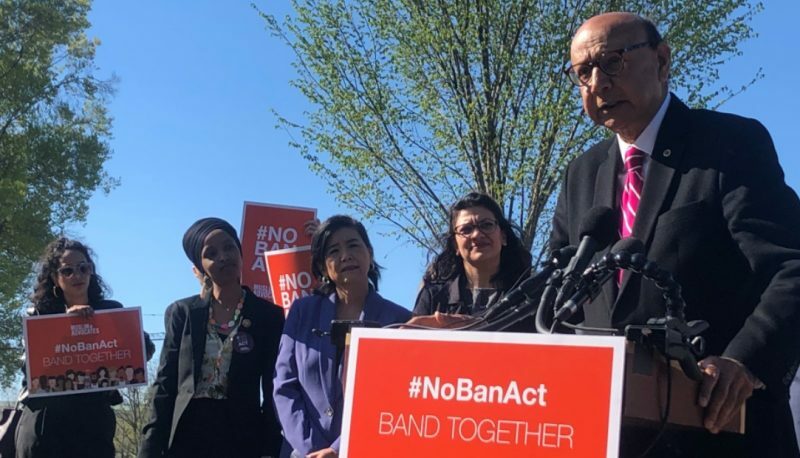 During Trump’s presidential campaign and since his 2016 election, he has repeatedly outlined his xenophobic desire and plans to target immigrants. From shutting down the government over his demands to build a racist wall to his Muslim ban, he has left many immigrant families living in fear and unsure about their futures. 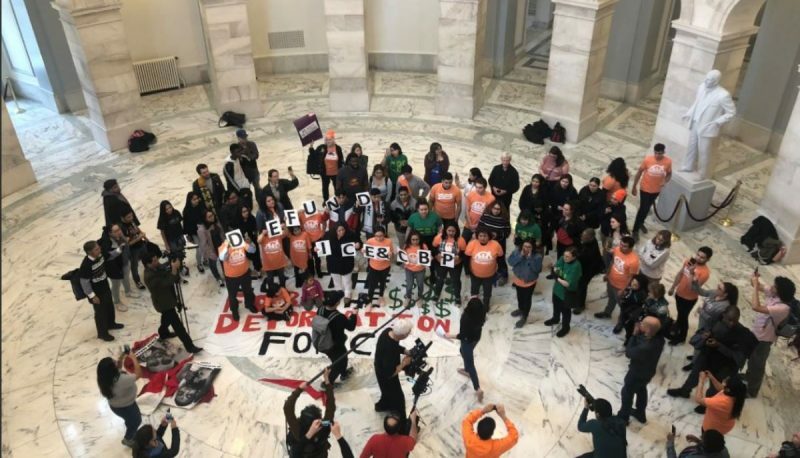 To help bring awareness to these policies and fight these injustices in our immigration system, PFAW joined a coalition of activists on Capitol Hill on February 7 for a pro-immigration demonstration. Some of the groups who joined us included United We Dream, Center or Popular Democracy, and many immigrant families who have been personally affected by Trump’s policies. The rally began at a nearby church, where representatives from United We Dream gave a short speech about some of the policies that have been implemented and why it was essential to draw attention to the personal stories of immigrant families. The crowd then moved to the Russell Senate Office building, where everyone circled around the atrium. Activists from various organizations then put on a performance piece symbolizing ICE’s role in separating families and the heartbreak many suffer when their loved ones are deported. After several of the organizers led activists in chants about the strength of the immigrant community, protestors exited the building with their fists raised before forming a circle outside the building. 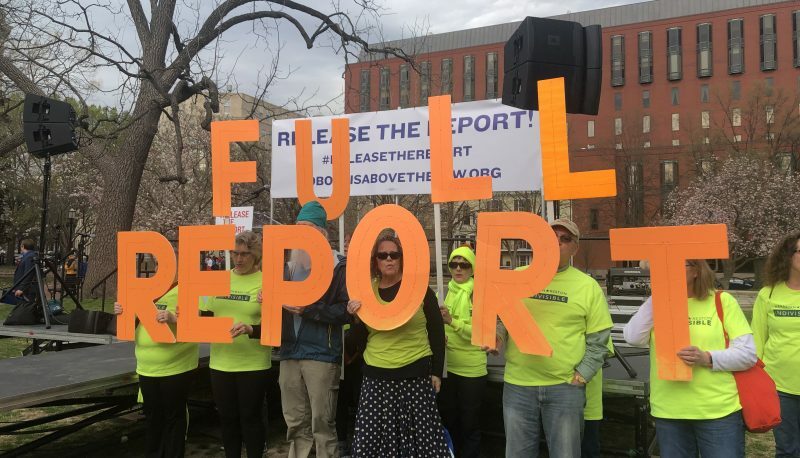 Several organizers and attendees then shared personal stories about how their families have been living in fear since Trump’s election and the emotional effect that Trump’s policies have had on their lives. Some of the attendees themselves were either living without status or are only protected under DACA, which is still in jeopardy.